I'm thinking of giving 3D a go (already dabling on the simulator) and looking for recommendations on what plane to get. I'm guessing an EPP electric is my best bet for price, sturdiness and ease of fixing, but having looked on robotbird there is quite a choice. about 900mm - 1m wingspan. I currently fly a foam e Wot4 and foam e Acrowot. Yep - no need for a protracted thread. Just buy a Hummer and enjoy it. Don't bother with the undercarriage - just hand launch it. Just remember to chop throttle as you land. Ever so slightly bigger than the hummer. Also very good. I'm just finishing this freeplan foam number from Flitetest 40" wing span,1000kv+ motor.So similar pec too the Hummer but looking at just under 2lb AUW with a 1800mah 4s. Cost or 4x foam sheets £10 and £4 in spray paint 1x £1 packet of stanley blades from the pound shop . 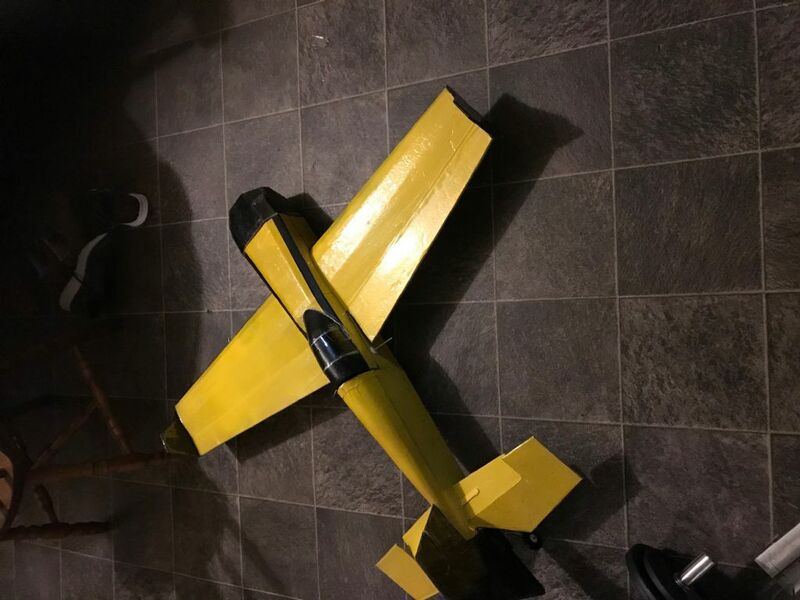 Not most elegant build ,but I am fairly new to foam scratch builds.With my limited experience I don't envisage this plane lasting long.And seeing as the Hummer is £30 maybe I shouldn't have bothered. Thanks for the responses guys. Was about to order all I needed for the Hummer when I realised the recommended motor was out of stock everywhere. So looked at the MX2 and same again. I wouldn't mind but with all the different ways of labelling the motors I haven't a clue how to compare. Anyone know what I can get for the hummer instead of the Turnigy 2213?